Ashton's Oak is one of this marque's most reserved finishes: a smooth polish combined with a walnut stain. 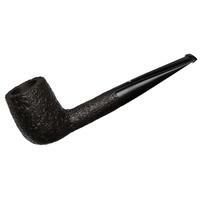 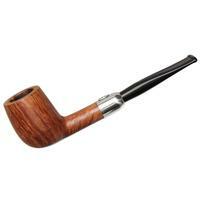 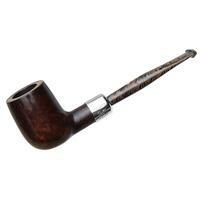 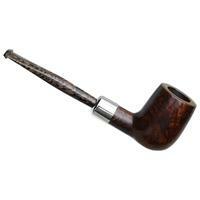 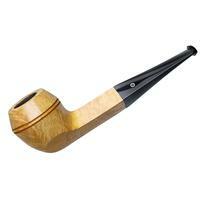 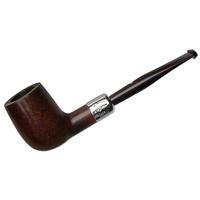 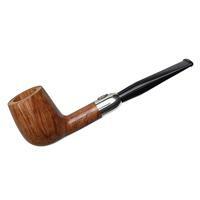 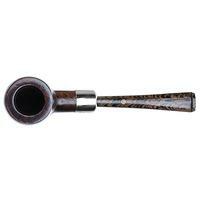 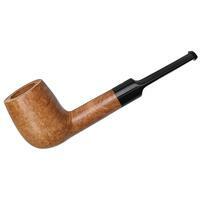 Normally then, they make for quite reserved-looking pipes, though not so much in this case. 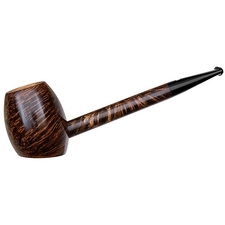 The shape is classic here, certainly, but along with the flash of silver (traditional enough by itself) Jimmy Craig further accented this briar with one of his more interesting types of brindled vulcanite, as well as having cut the stem to produce a more interesting pattern.